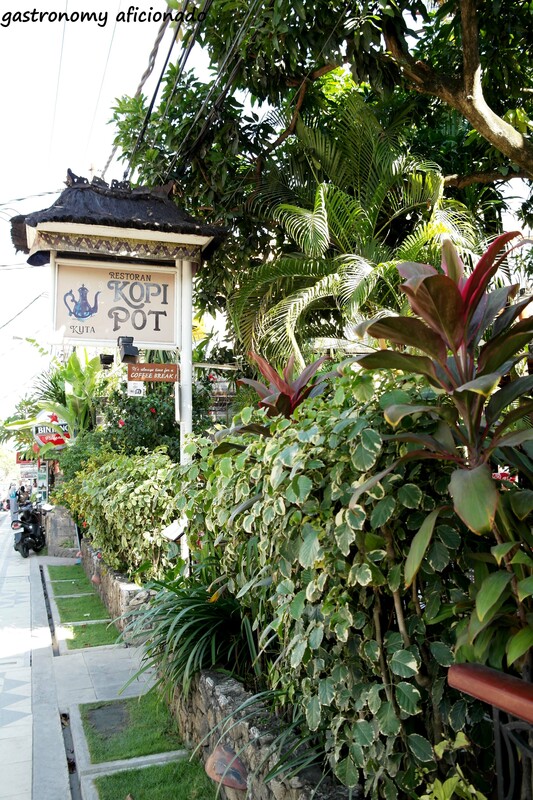 I used to encounter Kopi Pot on our way scouring the Legian lane back in 2009 and for some reasons, we instead tried Poppies, its sister restaurant a few hundred meters down. Finally, the chance came at last a few months ago when we lodged in at 101 Legian. It’s nearby and still looking nice like it was a few years ago. Time for the truth then! It didn’t take long for us to decide where to eat and we also really wanted to taste more of Balinese food and coffee while there. Judging by the name of the place, the coffee should be available or even, bountiful. So how’s the story then? Once you stepped in, the place is just beautiful. Though kind of old school with the old furniture and sort, but the garden made it all look homey. Though the main street is directly in front of the cafe, but somehow it’s serene inside. It’s always busy in Bali or any part of Indonesia nowadays especially with the easy lease on motorcycles and cars. All of them jammed the small roads of Bali! Lucky that afternoon, the traffic was normal and the weather’s also perfect for dine-outs. We were seated at the center of the cafe and soon terrorized with mosquitoes. So we had to move to a table close the pedestrian but very comfortable as it was nicely covered in greens. A good substitute as we no longer disturbed with mosquitoes and also some privacy from the rest of the guests. As for the menu, it’s a shame that they only serve a little of Indonesian dishes there and the coffee menu was also not that impressive. 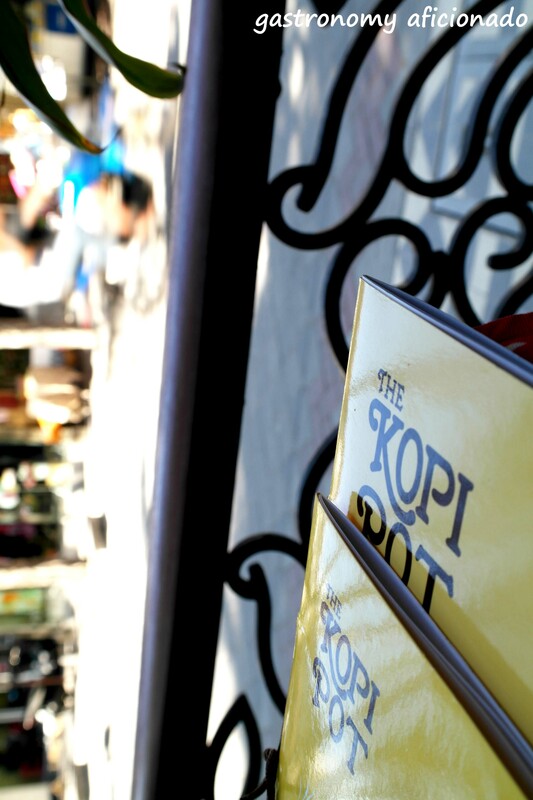 I found out later about Kopi Pot’s website and it is said that they’re specialized in cakes since 1990, a specialty not informed by the waiters/waitresses there. 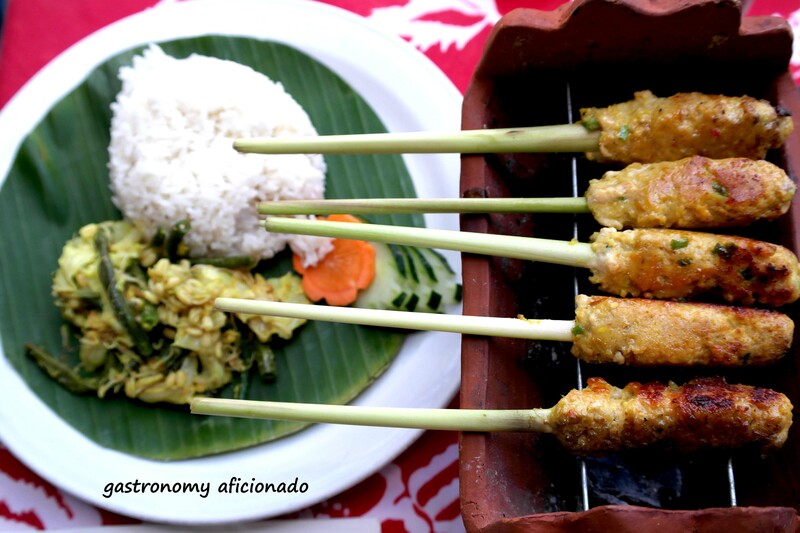 My sate lilit worked nicely as it was beautifully prepared and tasted delicious. The satays were served on a small grill but in reality, they’re already grilled. The fish covered the lemongrass and that’s why they call it lilit (encircle). It was smoky, with hints of herbs, and in all very nicely made. 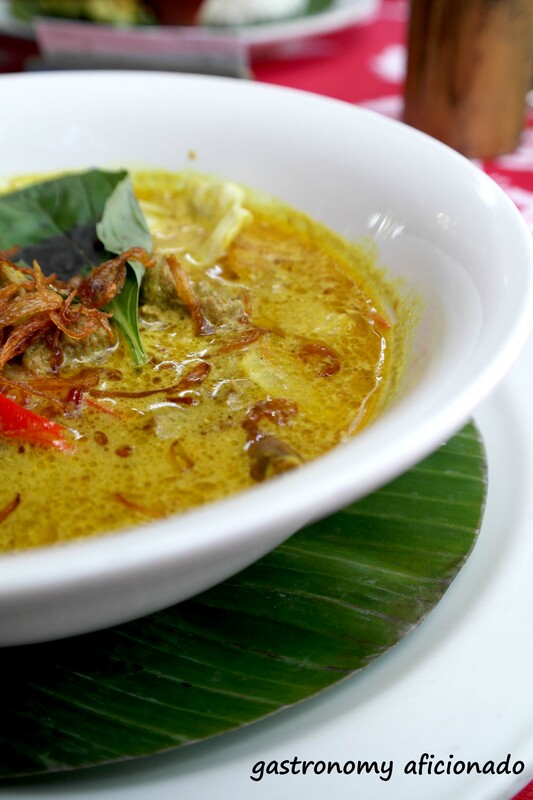 My wife had tong seng kambing or the lamb stew with curry soup for her lunch and it was just satisfactory. The lamb cuts were bountiful much to our surprise but the soup taste was not that impressive. The meat, however, was tender enough and that probably the only good thing from the dish. How about an iced cappuccino for hot day in Bali? Sounds nice but in reality, the delivery was miserable. It’s very watery and the coffee tasted very thin. Clearly it didn’t live up the name of the cafe. The service was not bad but failed to deliver a maximal effort. For instance, they could have supervised the trainees well or simply tutor them to make suggestions, especially about the cakes or any suggestion about their signature dishes. So, however nice the place is but it’s not a comeback for me. Instead I would opt for Poppies. There, the food may not be that brilliant but again, the place was nice, full of choices from the menu, and all with prime service. A contradictory with Kopi Pot. 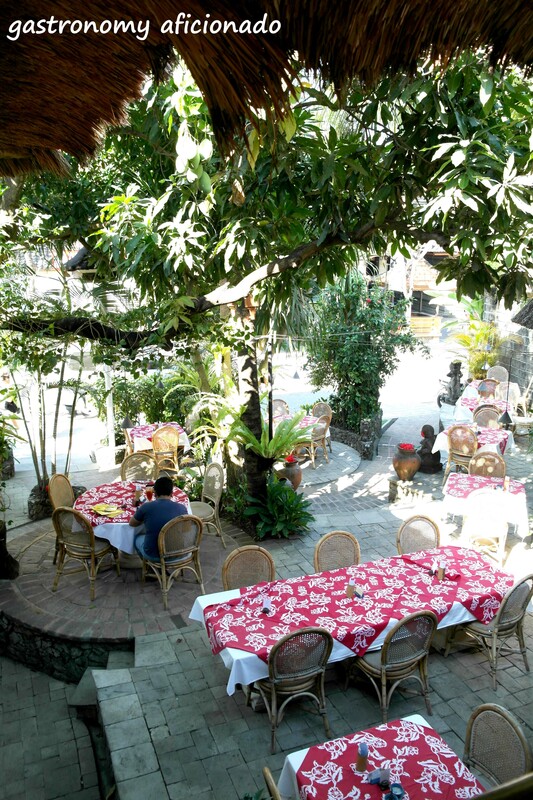 Atmosphere: A beautiful garden terrace hotel but sometimes with mosquitoes bugging. Ambiance: Relatively quite but thanks to the busyness of the street, it’s no longer like the 1990 when it first opened. Service: Tried to be helpful but they assigned novices from tourism academy instead at times. Patience is a virtue.